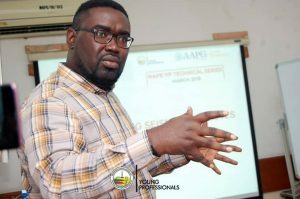 The NAPE YP March 2019 Technical Series was held Saturday March 30, 2019 at the NAPE Secretariat. The Topic of the well attended meeting was “Understanding Seismic Attributes and its Applications” and the Speaker was Demola Lanisa, a Geoscientist at Total. Ever wondered how Geophysicists easily interpret faults, facies identification, structural events, deformations, fluids? 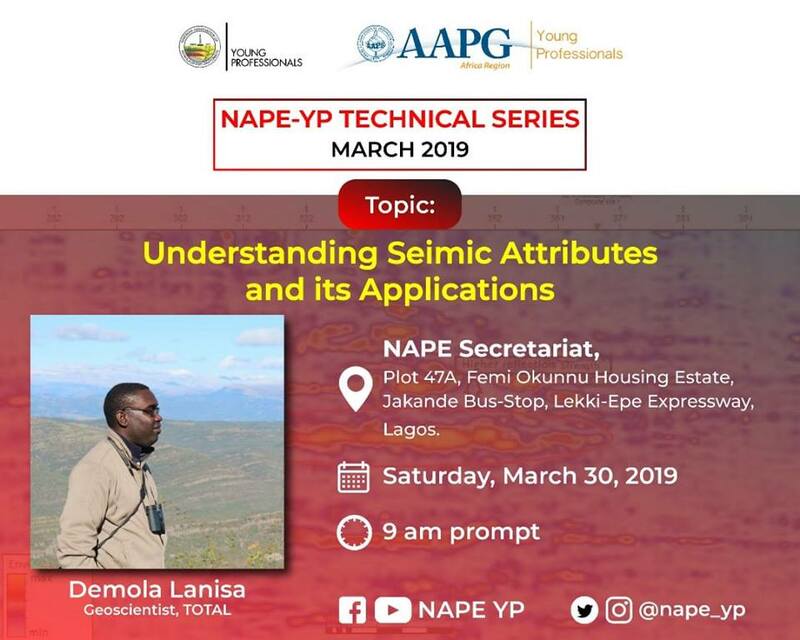 Demola Lanisa, a Reservoir Geophysicist with TOTAL spent Saturday, 30th of March 2019 with the Young Professionals (YPs) of NAPE to explain the nitty- gritty of the above concept, titled “Understanding Seismic Attributes and its Applications”. The technical session touched on some of the key geophysical attributes applied in the Oil and Gas industry, such as; Dip & Azimuth, Spectral Decomposition, Coherency, Neural Network, Spatial Stacking, amongst others. As Demola pointed out, it’s very important to know the geological feature that is being mapped and adjust seismic attributes to that specific feature, as attributes add physical meaning to interpretation. His presentation was properly enhanced by interactive illustrations and images, to properly explain key concepts. Demola stressing a point during the session. The event was held at the NAPE Secretariat, Lagos. YPs who were unable join the session physically, had the opportunity to participate via the live- stream on the YPs’ YouTube Channel. 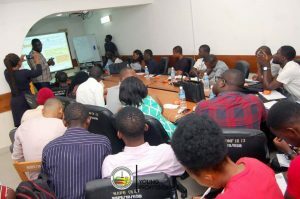 The March edition of the technical series, second of its kind in continuation of the 2019 NAPE-YP master plan, was an interactive, educative and informative session for the YPs. YPs are urged to take full advantage of the various opportunities presented by the YP arm for self improvement.